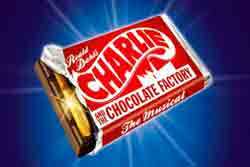 With Charlie & the Chocolate Factory due to open tonight (hopefully to rave reviews) you can watch Charlie & the Chocolate ... Backstage on Sky1 this Saturday 29th June at 2:30 pm. The 30 minute programme takes you behind the scenes of the West End musical directed by Oscar winner Sam Mendes, starring Douglas Hodge as Willy Wonka and Nigel Planer as Grandpa Joe.